Illustration of Aalto-2, which is now travelling towards ISS. The launch of the satellite known as Aalto-2 from Cape Canaveral, Florida on Tuesday was successful. The device is designed and built by Aalto University students. Aalto-2 launched on the Atlas V booster rocket, heading towards the International Space Station (ISS) orbiting the Earth. The cargo spacecraft Cygnus is expected to reach ISS in approximately three days. It’s been a long time coming for the little satellite, as its launch has been delayed various times due to different reasons. Aalto-2 will take part in the international QB50 Mission, the purpose of which is to produce the first ever comprehensive model of the features of the thermosphere, the layer between the Earth’s atmosphere and space. 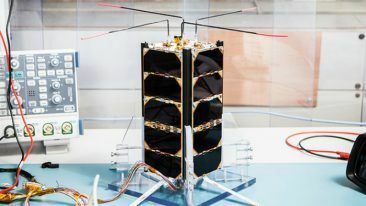 Aalto-2 isn’t a lonely space rider: there are dozens of nanosatellites from all over the globe taking part in the project. 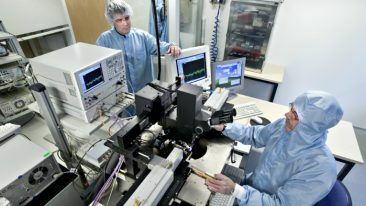 All satellites will be registered in Belgium, which simplifies the required permit procedures. 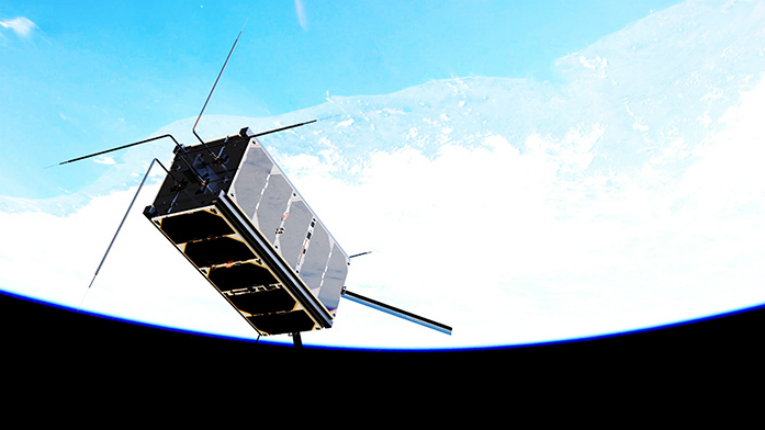 Aalto-2 is the first Finnish-built satellite that is now in space. According to Praks, the space industry is on the rise both in Finland and abroad. 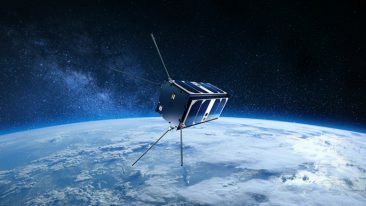 The impact of the two satellite projects, Aalto-1 and Aalto-2, can be seen in the growth of startups in space technology. 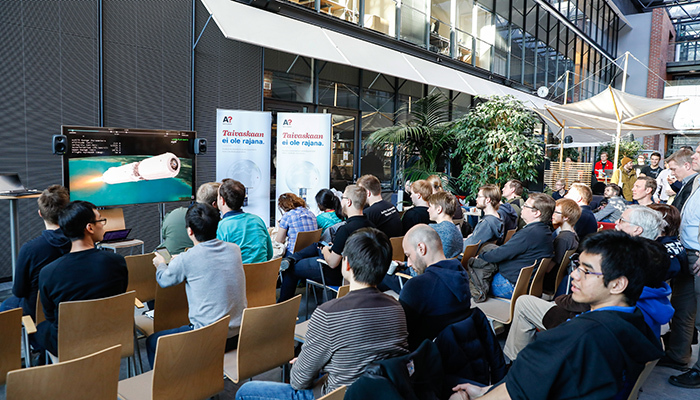 A crowd of students followed and celebrated the successful launch in Espoo, Finland.